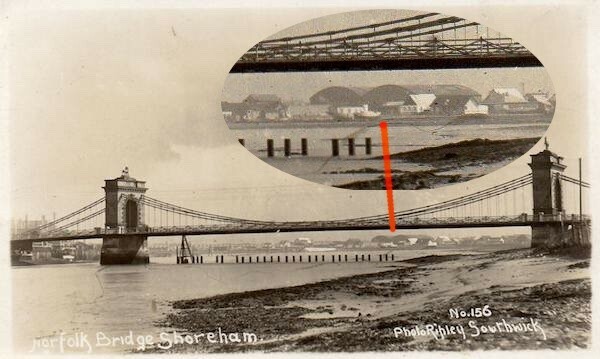 The image has been postitively dated as 1921 by local historians at the time when the Bridge was being prepared for demolition so what were the mysterious buildings for? 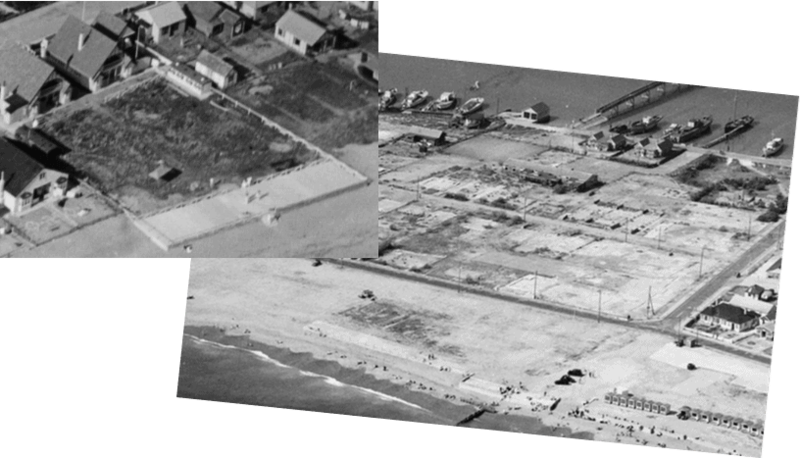 Their location looked to be near Ferry Road and at first sight 1927 aerial photographs seemed to confirm this by showing their likely footprints on the beach, not just of the structures but also a concrete raft or apron on their seaward side. Of all the possibilities one may be hangars for sea planes. The site looks to be near the spot where the coastguard cottages were and alongside them was the old lifeboat house that Piffard later used to house his seaplane. Could this have influenced intended use of the site for WW1 seaplane use and hastened the demolition of the cottages to accommodate the construction of the hangars only for further use to be thwarted by the end of hostilities? During WW1 one of Shoreham’s shipyards was used for the construction of concrete ships (e.g., .Cretegaffe,’ ‘Creteboom’etc.,). They were also built in other ports and one constructed at Whitby in 1916 actually saw service as a seaplane tender RFC 109 (later RAF 109). Furthermore it was based at Shoreham (not, incidentally, at Newhaven where another seaplane base existed from 1917 to 1919) which implies that seaplanes flew from Shoreham and were to be lifted and recovered from the sea when necessary by the tender. Something of a contradiction though occurred with the discovery of another photo. 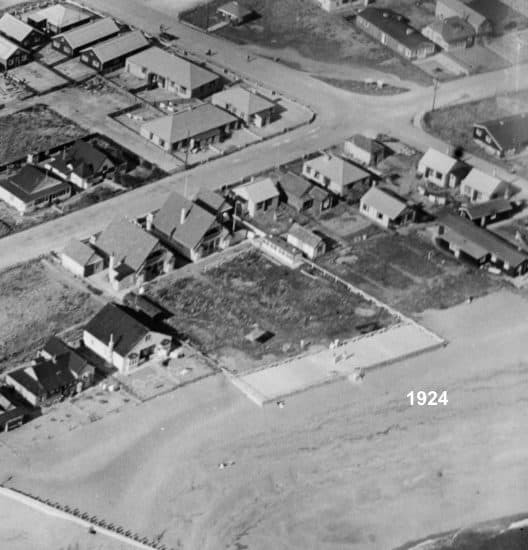 This was an aerial shot that showed the coast at Bungalow Town and, in the distance, the Mystery Towers – one tower was complete and the other still under construction which would date this image around 1919. The surprise was that there appeared to be no hangars on the beach at all (nor a concrete apron) but instead appear well beyond the north side of Beach Road! The Worthing Herald provided further evidence of the Shoreham sheds existence, the first on the 1stApril 1922 when their report of an accident during the dismantling of the Bungalow Town seaplane sheds was accompanied by a photograph– then another reference a month or so later:- ‘Where the seaplane sheds stood before they were dismantled a short time ago is now occupied by bungalows…….’ (13thMay 1922). The view shown in the photo looks to have been taken looking east from the sheds across Ferry Road, near the junction with East Meadway and confirms the evidence of the previous aerial shot. It seems we are now left with the unlikely thought that aircraft were wheeled from the hangars on trolleys across Beach Road and on to the beach – surely an impractical arrangement? If a river launch was envisaged, aerial shots show no signs of a ramp or apron on the riverside besides which take-off on the river would surely have involved some risky challenges. 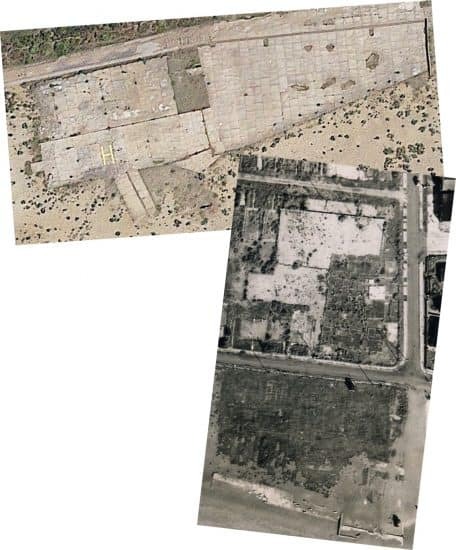 A 1940’s aerial shot indicates the approximate extent of the hangars and the grounds by the concreted area then further down on the beach is the concrete apron. An angular, dark area matching the width of the apron can be seen behind it and the immediate thought may be that this was the footprint of another, secondary hangar used to shelter aircraft in between operations. All the aerial photos though show that the dark area is vegetation, not concrete, and the shape simply reflects the dimensions of the plot of land there. The whole arrangment seems altogether incongrous and unwieldy – was this unlikely arrangement ever completed? Was the concrete platform on the beach not an apron? Did aircraft actually operate from there? A number of photographs of military seaplanes at Newhaven survive but none for Shoreham. 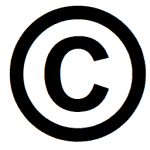 It looks as if the development of the site may have been halted prematurely by the end of the war. A final indication of unfinished work could be this comparison of Newhaven’s surviving footprint with Shoreham’s supposed apron – Shoreham did not have a concrete ramp! 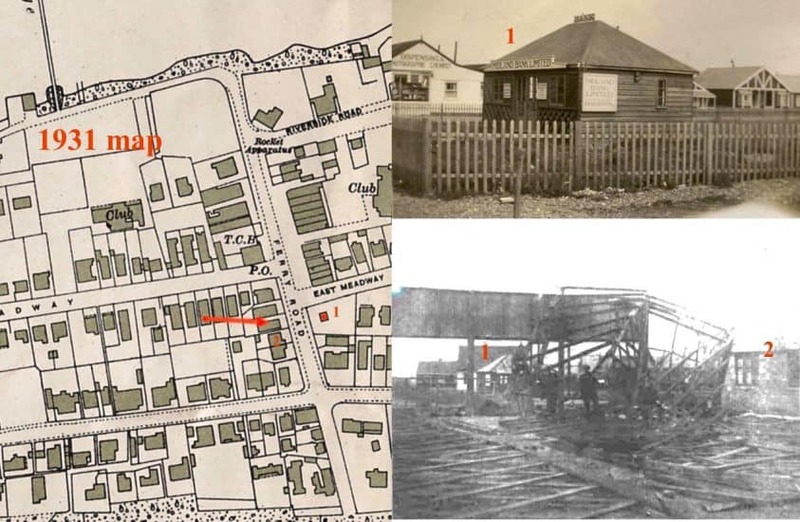 There could have been a skeletal steel ramp that would not have left a footprint after removal, there was one at Newhaven, but only a visit to the National Archives is likely to provide the answers. 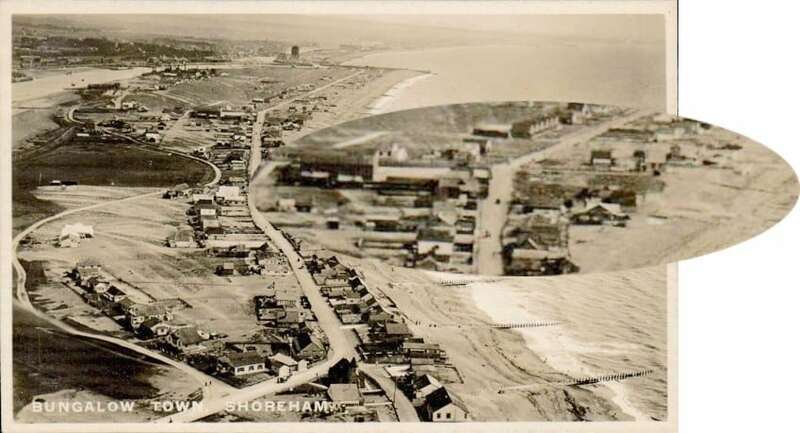 Thank you for this fascinating insight into old Shoreham. Keep them coming.